Alexander MacLeod was born in Inverness, Cape Breton and raised in Windsor, Ontario. 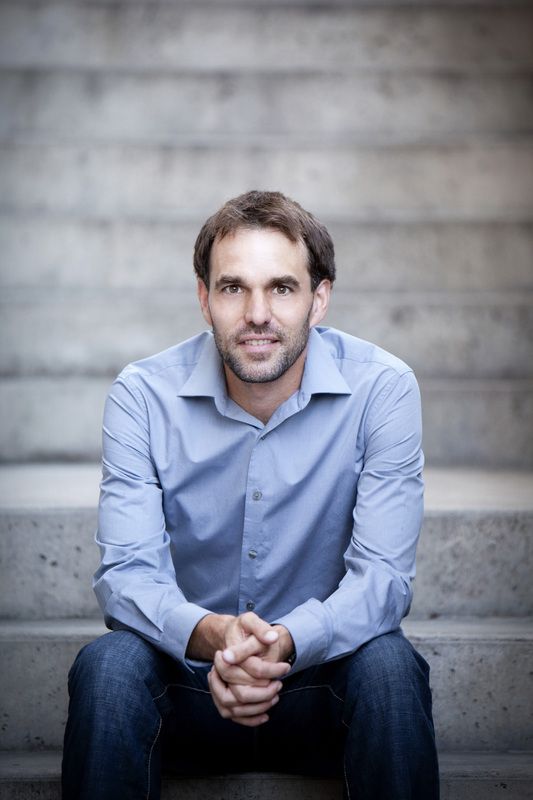 He holds degrees from the University of Windsor, the University of Notre Dame and McGill, and currently teaches at Saint Mary’s University. MacLeod presents a reading from his celebrated first collection of stories, Light Lifting, which offers a suite of darkly urban and unflinching elegies that explore the depths of the psyche. It was a finalist for the Scotiabank Giller Prize and the Frank O’Connor International Short Story Award, and won the Atlantic Book Award. MacLeod will be in Thunder Bay for the International Festival of Authors on November 4th. Shauna Kosoris: When you’re in Thunder Bay for the International Festival of Authors (IFOA) this November, you’re going to be reading from your collection of stories, Light Lifting. What can you tell me about it? Alexander MacLeod: I tried to make the collection as varied as possible and I hope there’s something in the book for everybody. The stories focus on different kinds of people in different contexts, at different stages of their lives, but in every case, the characters are faced with fairly substantial decisions and I tried to imagine these decisions as active physical choices and fairly dramatic either/or situations. I have a story about long distance runners who have to train for years to lower their times by half a second and there is one in there about parents who face an apparent crisis with a sick newborn and one that touches on an elderly woman who is trying to hold on to her house while her children would prefer she enter a more reasonable institution. I was interested in turning points, those quick moments where whole trajectories change and a person is transformed from one way of being in the world to another. Why did you decide to write a collection of short stories? I never really set out to write a “collection.” Each story was its own separate project and I tried to work each of them out on their own terms. It was only when we pulled them together that we noticed the thematic connections and the recurring concerns that seemed to hold the whole book together. That’s fair. What was the hardest part of writing Light Lifting? Finding time was the hardest part. It kind of lurched along for many years, advancing a bit now and then, but it took a big consistent block of concentration at the end to finally get the thing done. So what first drew you to writing? It’s hard to find explanations for this kind of stuff, but I think story-telling was always important in my family. We grew up in an environment where stories mattered, both on the page and in the air, and that likely influenced me in fundamental ways that I don’t really understand. Oral stories, stories that go through the air and don’t ever need to be held down on the page. In our house, people were always telling stories about their lives and the lives of people we knew and shared. The flow of chat was (and continues to be) strong and steady and we still spend hours filling up the evenings with stories. It’s how we pass the time. That’s an excellent way to spend time with family and friends. But thinking of stories on the page, what are you working on now? I just finished a new story for a British Anthology and a big essay for the Oxford Companion to Canadian Literature. Those two things took up much of last year, but I’m eager to get to work on a new piece and I’m not sure yet if it will be another story or maybe something longer. Good luck with your new piece! 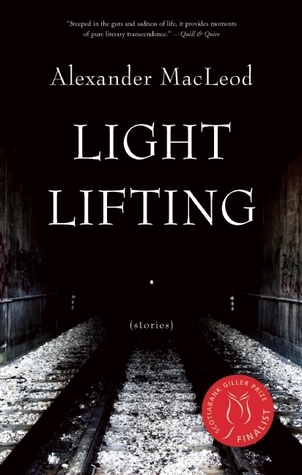 I know you have some experience with the Scotiabank Giller Prize because Light Lifting was a finalist in 2010. But how did you end up a judge for the 2015 Giller? I don’t know exactly how the selection process works. I was honoured when they first asked me to consider serving on the jury, but at that time, I only thought of it as a distant possibility that “might” happen two or three years down the road. When it suddenly became a very real pile of work for this year, it was a bit of a shock at first, but then I just settled into the pace and went one book after another for several months. I am happy to do it because I feel like I personally owe the Giller Prize a great deal and I think the support the Rabinovitch family has given to Canadian literature, and to a broader idea of Canadian Culture, is pretty astounding and should be appreciated a little more. Every country in the world has a literature, but not every national literature has an award like the Giller that draws so much attention and so much reader interest to our books every Fall. I know it all seems flashy on the outside and everybody likes to focus on the ball and the fancy outfits, but behind the scenes, it’s a very down to earth operation and if you peek on the other side of the thick velvet curtain, you just see a couple of hard working people scrambling to make sure the whole thing keeps trucking along. As well as writing and being a judge for this year’s Giller, you also teach at Saint Mary’s University. Is that why you were chosen to teach the Master Class at Lakehead University during the IFOA? I think so, but I’m not sure. I’ve taught a senior level creative writing workshop here in Halifax for most of the last eight years and I’ve also taken some visiting appointments at the Banff Centre and in Scotland and at the occasional festival. I enjoy this part of the job very much, but really all I do is join in the process as the individual writer crafts his or her own projects and in the end, I don’t know if I ever actually “teach” anybody anything. Was the guest appointment in Scotland different from the Banff Centre? In Scotland I did a residency at Moniack Mohr. It is a writer’s retreat up in the Highlands just a little bit away from Loch Ness. The classes are held around the kitchen table in a small house on a misty moor so it’s not quite as massive or sublime as Banff and its Rocky Mountain vistas, but the intensity with the students is definitely there. We cooked all our own meals together and hung out in the evenings around the fireplace. As far as the teaching went, I led a paired class with the amazing Claire Keegan, a writer I admire very very much. And we also hosted Bernard MacLaverty as a visiting writer for one of the evenings. It was incredible. Sounds like it! What do you most enjoy about teaching creative writing? I like helping students see their own vision, their own plan, coming together and starting to make its way in the world. In my classes, we focus on very practical concerns, the nuts and bolts stuff, that often gets lost in the emotional fog that sometimes surrounds creative work. We talk a lot about reading, about the way that literature operates, and we just try to build stories that make a small contribution to this amazing art form that we all love so much. To finish up, let’s talk a bit about reading. What book or author inspired you to write? I was definitely inspired by my father’s writing and his stories will always be close to me, but I also hoovered up anything that was lying around and the quality control was less than rigorous. I read all the Sherlock Holmes mysteries and yards of Trixie Belden and The Hardy Boys and The Three Investigators. Also Robert Louis Stevenson and Jules Verne and later every single Kurt Vonnegut book. I think JM Barrie’s Peter Pan is pretty well perfect for the way it balances the raw imaginative power of the story itself with so many wise and self-reflexive side comments that insightfully foreground the art of telling the story. There’s so much emotional wisdom in there, mixed with so much pyrotechnic prose. Every time I come back to it with my kids, I’m surprised by it again and I find myself shaking my head in wonder. Such a sad, exuberant book; it’s very hard to pull off that particular combination. I’ve never actually read it – that’s something I’ll have to remedy soon! Finally, what are you currently reading? I just finished my Giller reading so now I’m back to the basics of my course work and my teaching. The mixture of the classes means that the books are all over the place. In the past week, I’ve re-read Atlantic Canadian fiction from Michael Crummey (Sweetland) and Hugh MacLennan (Barometer Rising) as well as classical theoretical arguments from Plato, Aristotle, Horace, Saint Augstine and Christine de Pizan. That crew doesn’t have much in common but they do make for an interesting soup brewing in your brain. Excellent interview….made me laugh to hear him say he read Trixie Belden as that was one ofmy favorites as a child!